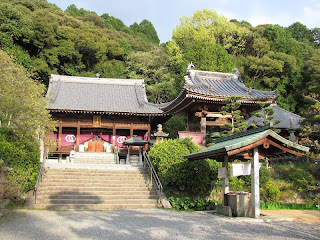 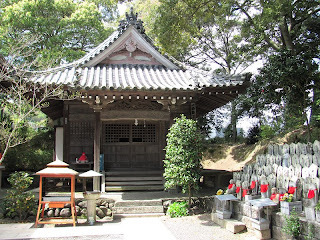 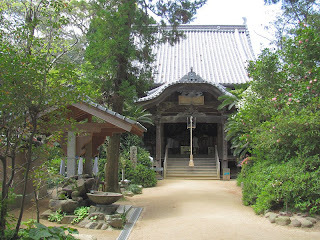 Today, we hiked from Temple 46 (Joruriji) in the south of Matsuyama City to Temple 51 (Ishiteji). 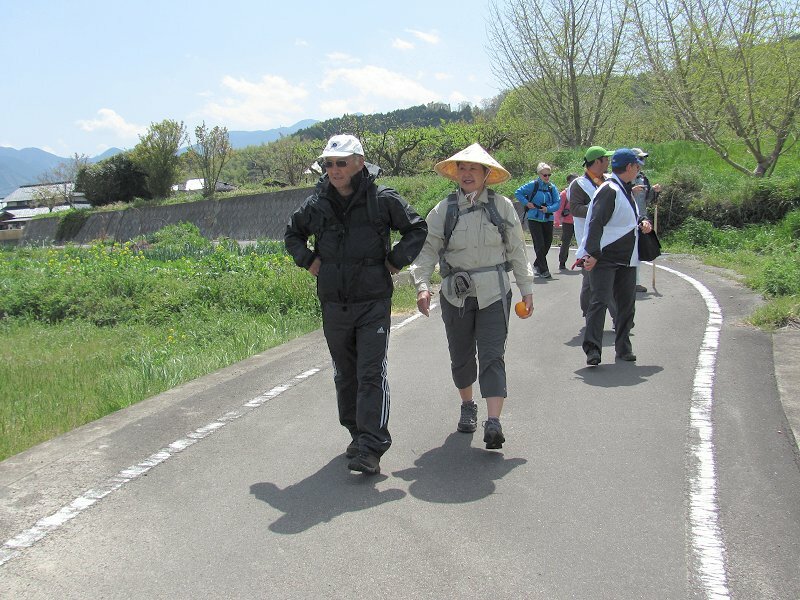 The group hiking through the rural landscapes between Joruriji (Temple 46) and Yasakaji (Temple 47). Henro John at the main gate of Yasakaji. 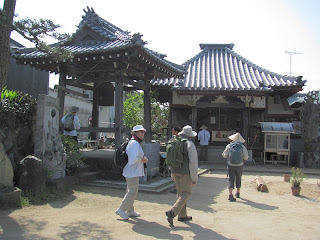 Our group arrives at Monjuin temple (also known as Tokuseiji), one of the twenty numbered bangai temples. 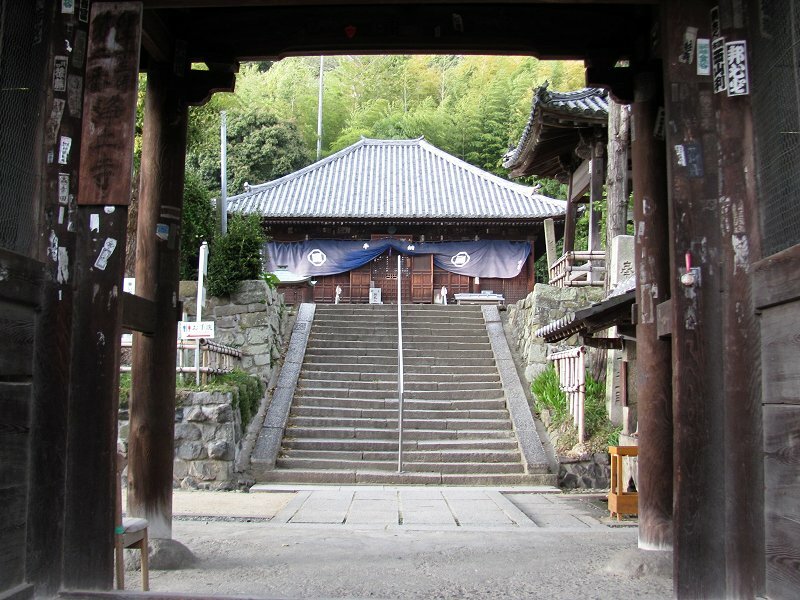 The bangai are sacred temples that are not officially part of the 88 temple pilgrimage route. (Monjuin is bangai #9.) 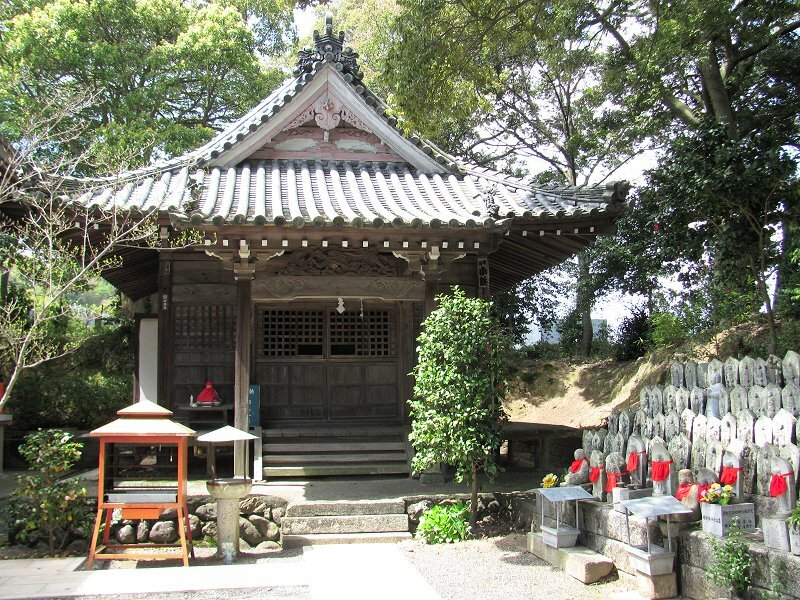 It is said that Monjuin is at or near the site where the merchant Emon Saburo refused to give alms to a monk whom he later realized was Kukai (Kobo Daishi). 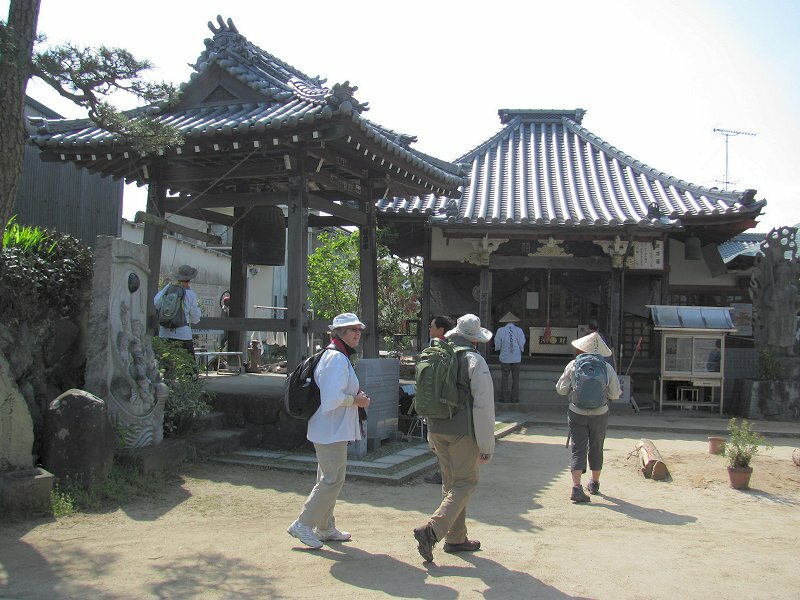 Following the deaths of his eight sons, Emon Saburo set off on foot circling Shikoku several times in search of Kukai in order to ask forgiveness for refusing to give alms. 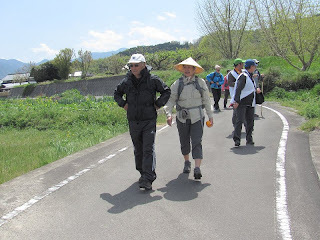 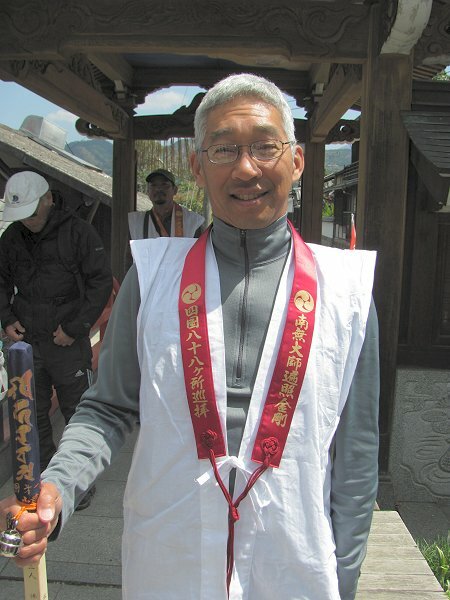 This is one of the stories that explains the origins of the Shikoku Pilgrimage. 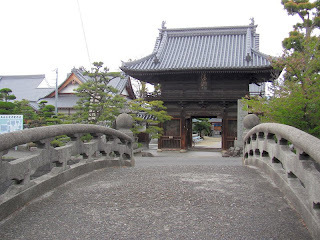 The main gate at Temple 48 (Sairinji). The main hall (hondo) of Temple 49 (Jodoji) seen through the main gate. 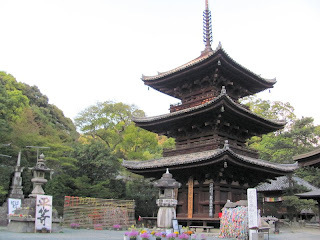 Lovely Hantaji (Temple 50) in later afternoon light. Pagoda the Temple 51 (Ishiteji), the "Stone Hand Temple."